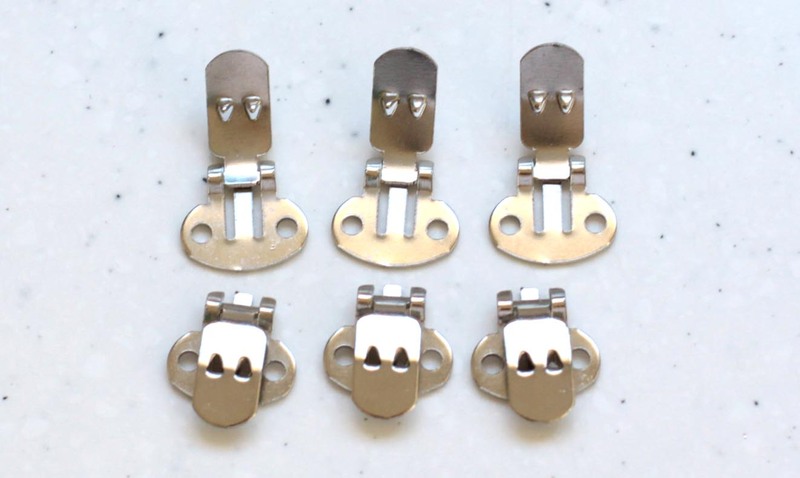 Up until a couple of months ago I had never heard of shoe clips before. If you haven’t either they are basically jewellery for your shoes. I had never seen them in shops and could only find a limited, expensive range of them online. Shoe clip findings were easy to find though! I got these off ebay for a couple of dollars (the packet came with 20). 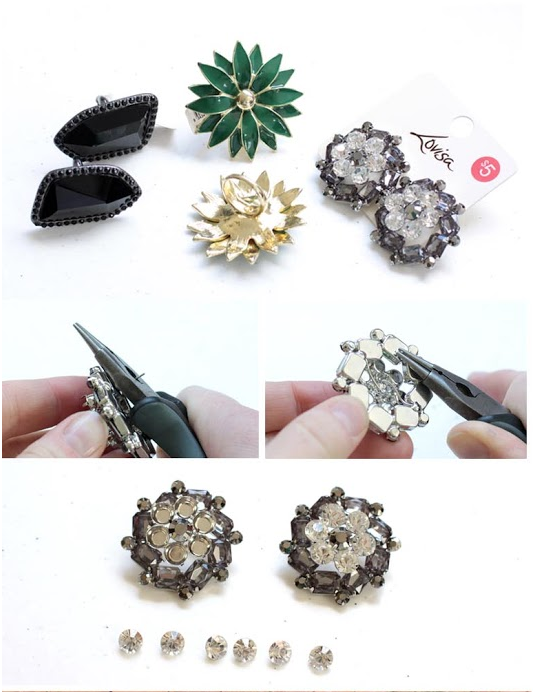 They had a really great sale on at the jewellery store this week so I bought an assortment of things I could make some shoe clips with – let’s begin refashioning! For my shoe clip refashion I chose some studs and a few different rings to work with. First I removed the posts from the studs by cutting them back with jewellery pliers. The remaining bit just pulled off easily – I’m sure you could sand it back too if it doesn’t. I decided to spray paint the grey of the gem flowers but keep the crystals white. By pulling back on the metal encasing, the crystals came out easily. I only needed to use a finger nail for this but normally I’d use jewellery pliers. I removed the rings with some heavy duty pliers.They came off pretty easily too. One did break but I can glue that back later. Black spray paint is what I chose to refashion the jewels. I did two coats on top and one underneath. I left these to dry for most of the day. I think the spray paint should stay on well – if not a coat of clear nail polish I’m sure would do the trick. Before attaching the clips I put the white gems back into the flowers. They look so much better now! I’ve never made shoe clips before but I’ve read that it helps to attach felt between the jewellery and finding. I just used a glue gun for this and it seems to have stuck really well. I didn’t position the clips too well though! The black and white flower clipped best so I’d say copy the position of that one. Here they are, my shoes all glamed up with some lovely, new shoe clips! These turned out so much better than I’d expected!